Riveting sci-fi actioner, reminiscent of Groundhog Day in themes and of Inception in its execution. 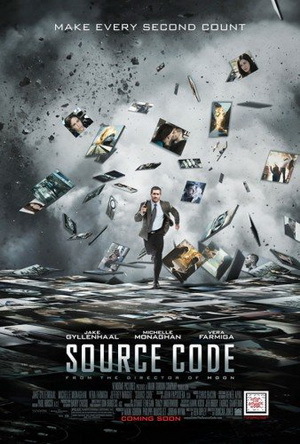 Pleasing, fast-paced and, most importantly, smart, Source Code is Duncan Jones’s (aka Zowie Bowie) first film after his breakthrough Moon. The inventive, original story is gripping, and the cast is up to par with the intriguing storyline: Jake Gyllenhaal and Michelle Monaghan are solid, Jeffrey Wright plays Dr. Rutledge with retro flair and Vera Farmiga steals the whole show (which is no small feat, considering she’s sitting in front of a webcam for most of the film). The mistake? Code’s generic happy ending. Cut the last two to three minutes and the conclusion would’ve been so much stronger. I had no idea that Duncan Jones was the son of David Bowie. What a great fact! Excellent review and I enjoyed the film as well.